I know, I know, I promised you some South African dishes, and pasta, well, ain’t. I had planned to try my hand at a few things this week, and I don’t really know why I haven’t – so for now, here’s a yummy lamb dish instead. For one thing, I have been starved of pasta over the past few weeks. It’s one of my absolute favourite things to eat, probably the one thing I really could eat every day – a legacy, perhaps, from time spent in Rome ten years ago, although I think I’ve always loved it. I read these diets in magazines promising miraculous results – I flip eagerly to the page, and realise, no, you have to give up pasta. 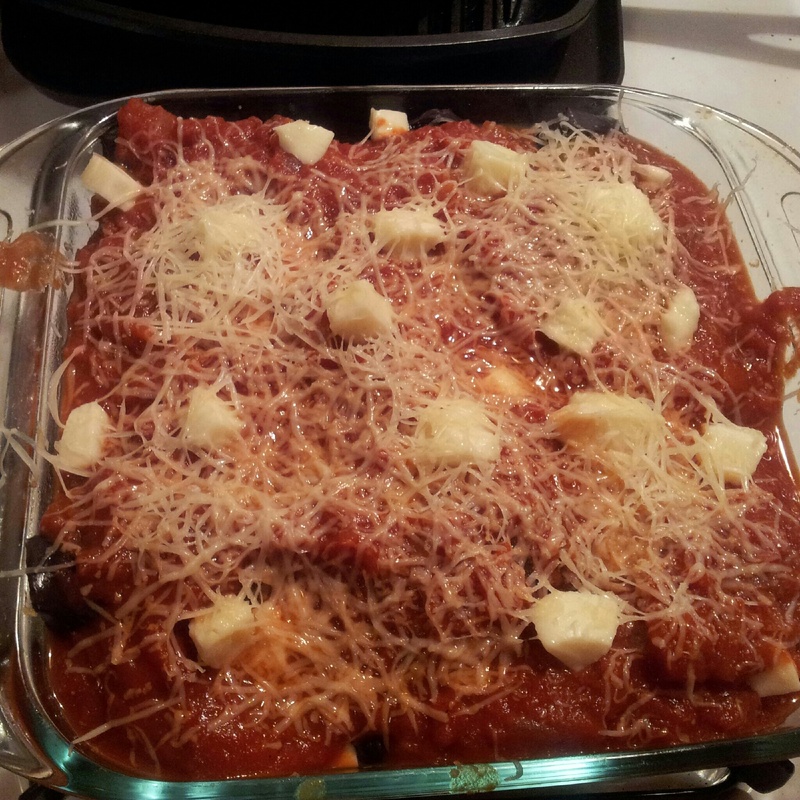 In a choice between a super-svelte bikini body and pasta, pasta would win, every time. My brother, on the other hand, has given up eating carbs in the evening – with above-mentioned miraculous results – and so while he’s been here in South Africa as well, pasta has been off the menu. It’s a small price to pay for the wonderful holiday we’ve had together – he’s a singer, and was here with some of his singer friends for performances of Handel’s Messiah and Faure’s Requiem, among other things. Once the work in Johannesburg was done, we headed down to the Cape for a wonderful week which was largely based around eating and drinking. The days followed a fairly consistent pattern: rise, at leisure, and breakfast. Set off for the winelands, take in a tasting. Find somewhere delicious for lunch. Decide we should probably do one more tasting before heading home. Roll, slightly sozzled, back into the car for a snooze on the way home. Cook dinner all together. It’s pretty high on my list of all-time favourite things to do on holiday. There is something truly magical about tasting wine at the wine farm itself – looking out over the vines, with the most knowledgeable and passionate people possible sharing their wine with you. Add in beautiful sunshine, family and friends, and the fact that I can’t drive and therefore always get to drink – and you have a winner. 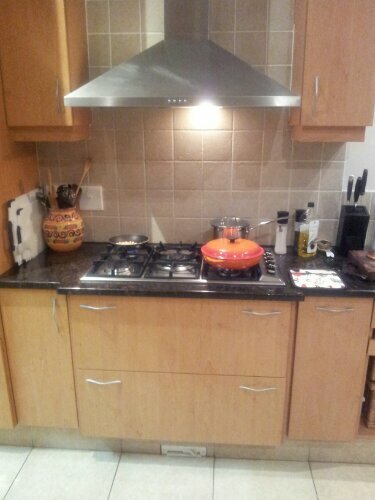 As I’ve already mentioned, I’ve been very happy both to sit back and enjoy my mother’s wonderful cooking, and to cook with the rest of the group – although there have been a few occasions where I have cooked for my parents. However, even when I’ve done so, I still find myself turning to my mum for help with everything! I ask her ridiculous questions (‘Mum, is this stick of celery ok to use?’ Honestly, how have I survived thus far if I have to ask that?!) – so even when she is sitting on the sofa and I am in the kitchen, I am ‘cooking with my mum’. Not that I mind – it’s a rare treat these days, and she is so full of knowledge, I’d be a fool not to take advantage. This dish was the result of me being let loose in the kitchen – and I was really pleased with the results. I’d been meaning to make a lamb and aubergine pasta dish for a while, and the happy coincidence of lamb in the fridge and an afternoon to spare meant I got the chance. This version uses lamb knuckles, which I have to confess I’ve never seen outside of South Africa. 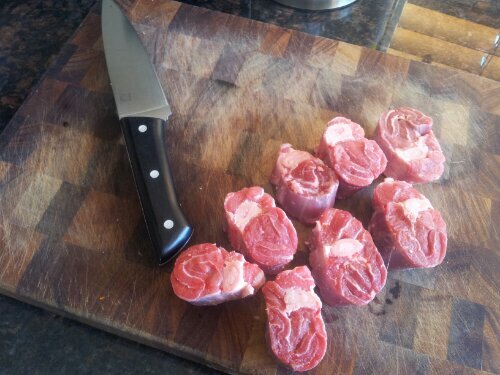 It’s a great cut for slow cooking, if you can get it – but if not, any stewing lamb will do. I gave this three hours as the meat was on the bone and had a lot of sinew – if it’s a slightly leaner cut or not on the bone I’d suggest checking from about two hours, though I doubt it will come to grief from a slightly longer cooking if you have it on a slow heat. I had also planned to use minced lamb when I first thought of doing this – and I do think this would work well as an alternative if you prefer, and would also need a shorter cooking time, probably more like one hour. 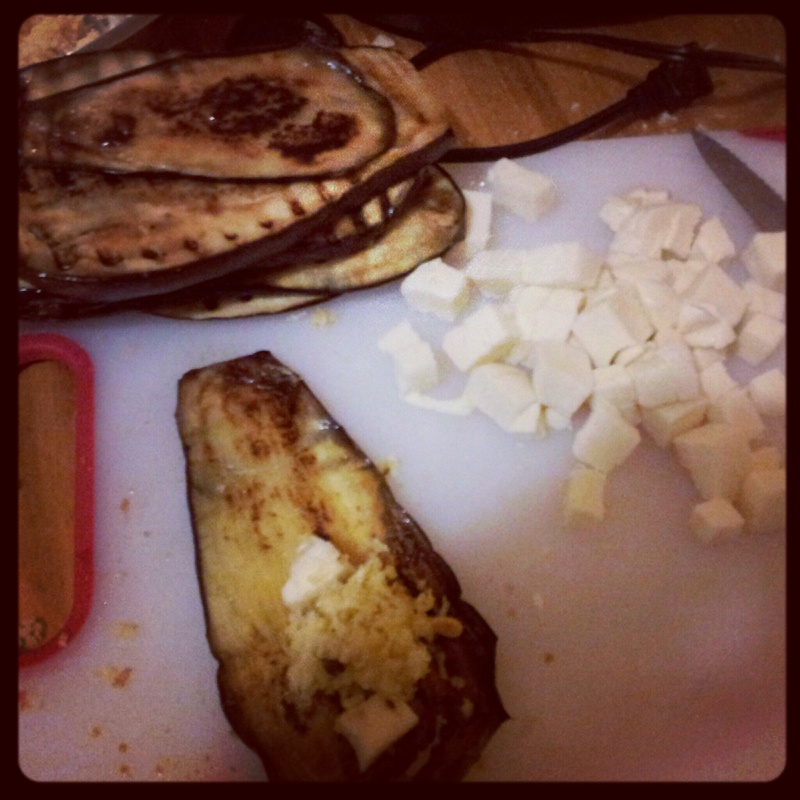 I have a love-hate relationship with aubergine – cooked well, it is hard to beat. 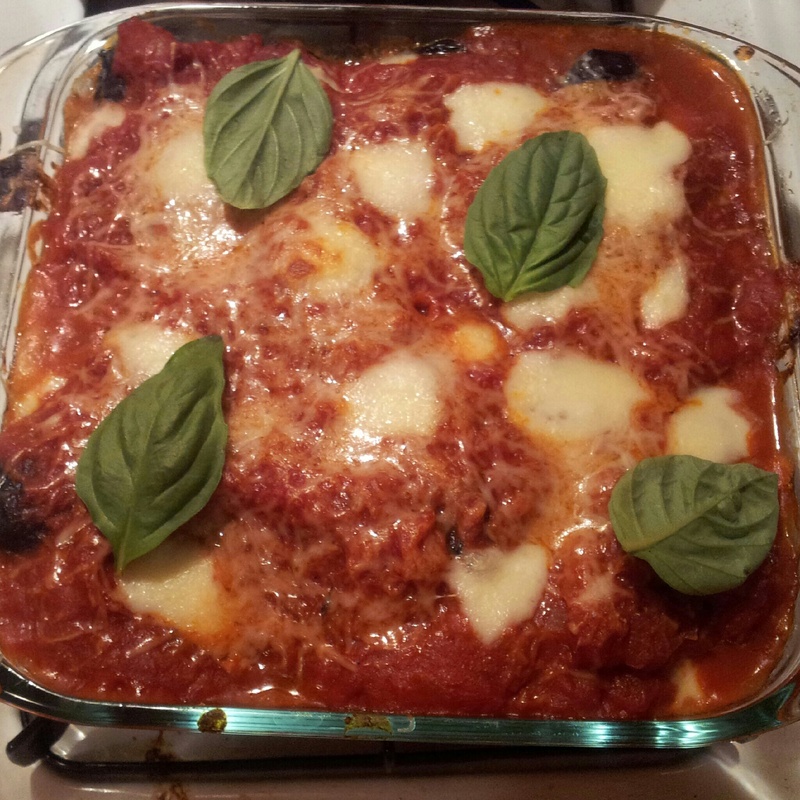 It has a luxurious, pillowy softness that melts in the mouth – truly wonderful. However, it is so often disappointing, usually because it has been undercooked, and is therefore hard and with none of the silkiness which makes it so delicious. 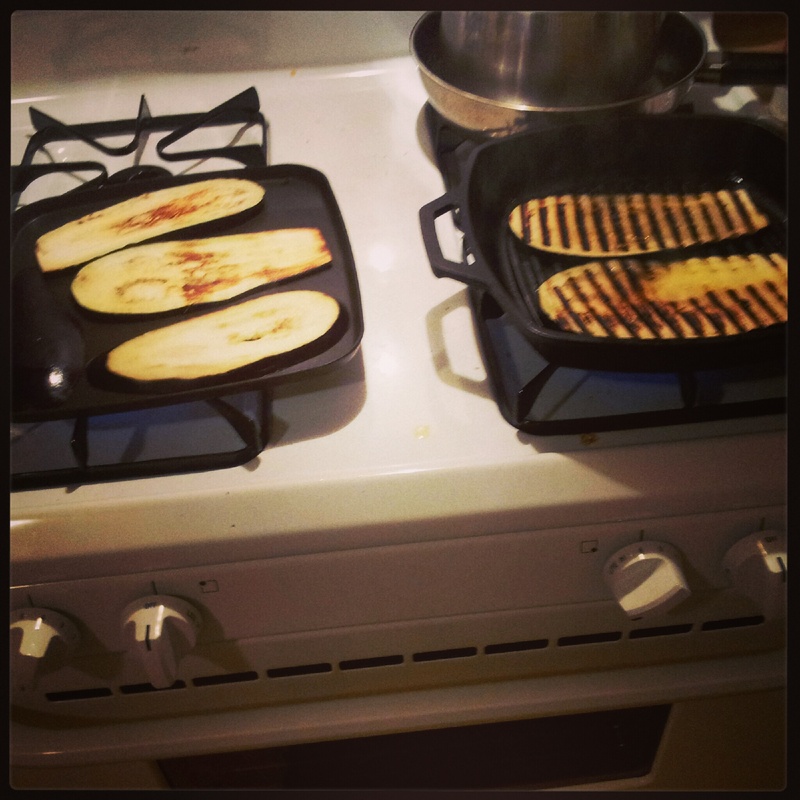 It also soaks up oil, so if it has been sauteed, can be overly greasy. 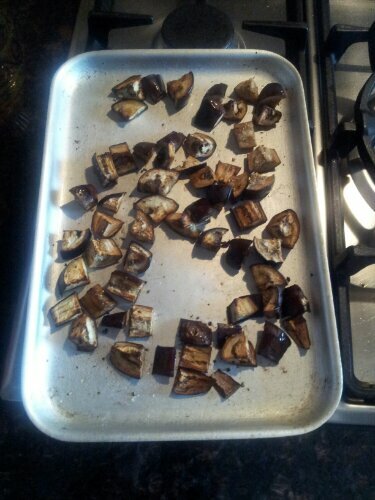 These days, I almost invariably roast the aubergine in the oven, at least briefly, to start the process. 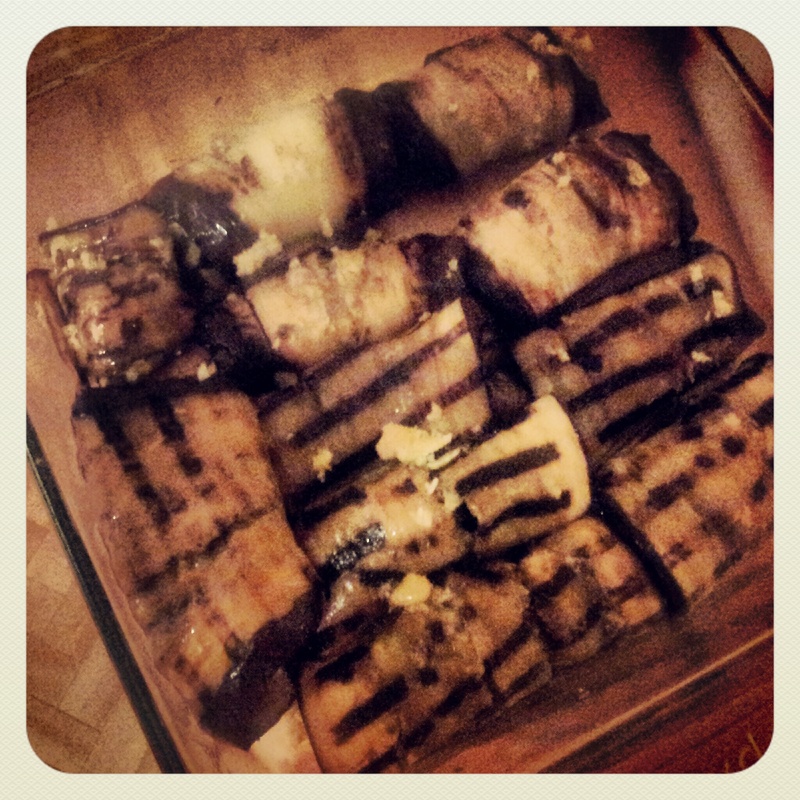 It needs less oil than if you were to saute it, and as with all roasting it brings out the sweetness of the aubergines. It also has the advantage of meaning you can put it in the oven for 30 minutes and forget about it, which, as Delia Smith says, is ‘much less tiresome than standing over a frying pan watching them soak up masses of oil’. The inspiration for this recipe is the Italian aubergine dish, caponata – an aubergine stew, in which the aubergines are cooked in both vinegar and salt to give a slightly sweet-and-sour taste. The meatiness of the lamb works really well with this – and you can add more or less sugar and vinegar to either make it a feature or a background note. I like the combination of balsamic and either red or white wine vinegar, although I don’t think this is at all authentic! Heat the oil in a large skillet/frying pan over a high heat. 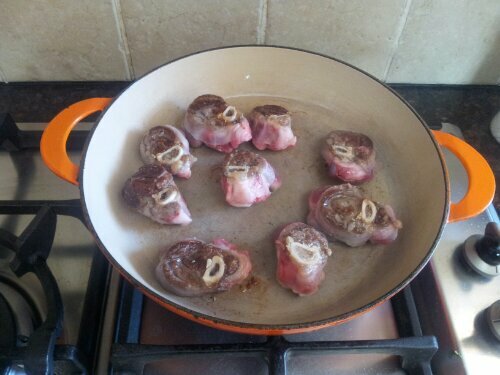 Season the lamb with salt and pepper, and sear in the pan until well-browned all over – do this in batches, if necessary. 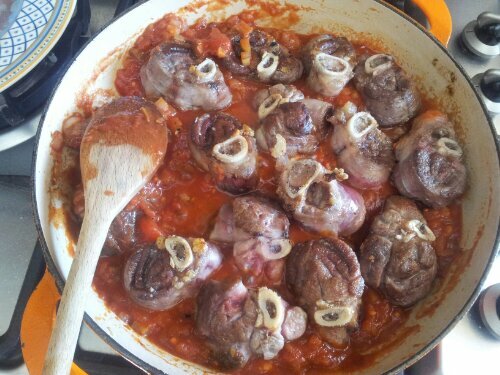 Remove the lamb from the pan and set aside. 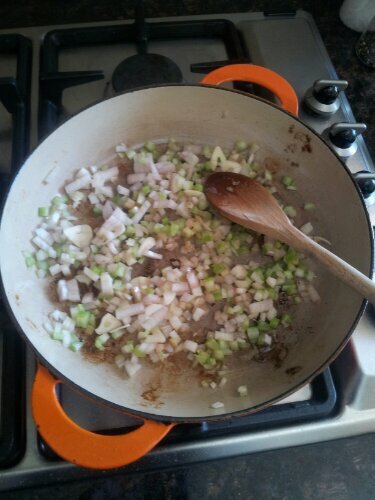 Reduce the heat to low, and a little more oil if needed, and add the onion, garlic and celery to the pan. Cook over a low heat until the vegetables are very soft. Stir in the tomato puree and season with salt and pepper – allow the mixture to cook for a couple of minutes. 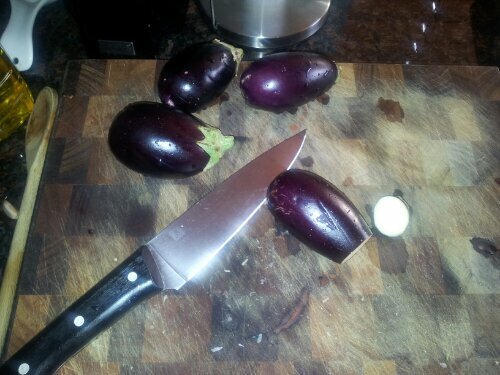 In the meantime, prepare the aubergines. Heat the oven to 180C. 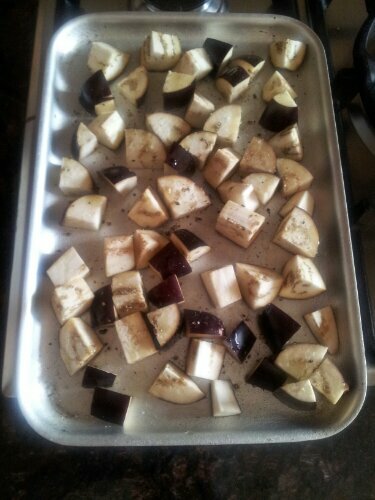 Cut the aubergine into 1 inch chunks, and arrange on a baking tray. Season with salt, pepper and a little olive oil, and roast in the oven for around 30 minutes, until the pieces are softened and golden. 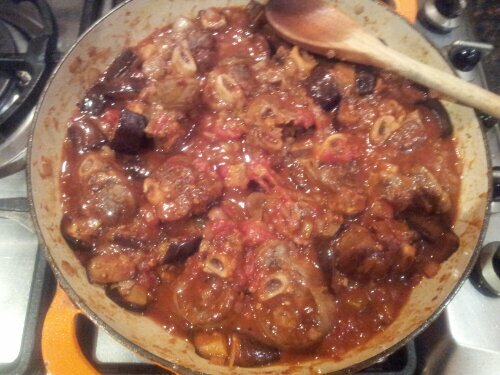 When the lamb has around 1 hour cooking time to go, stir the aubergine pieces into the dish. Taste at this point and adjust the vinegar/sugar balance if necessary – bearing in mind that the wine vinegar will add more tang than the balsamic. Add a sprig of thyme and allow to cook for another hour. 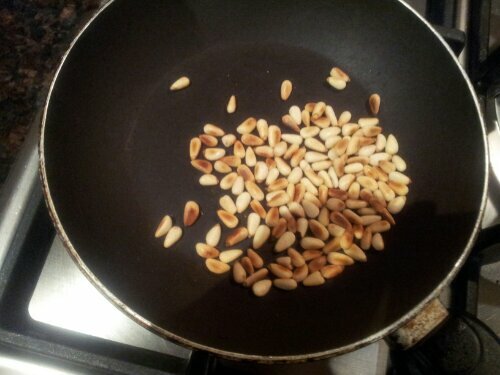 Just before serving, heat a small pan over a medium heat, and toast the pine nuts until golden brown. 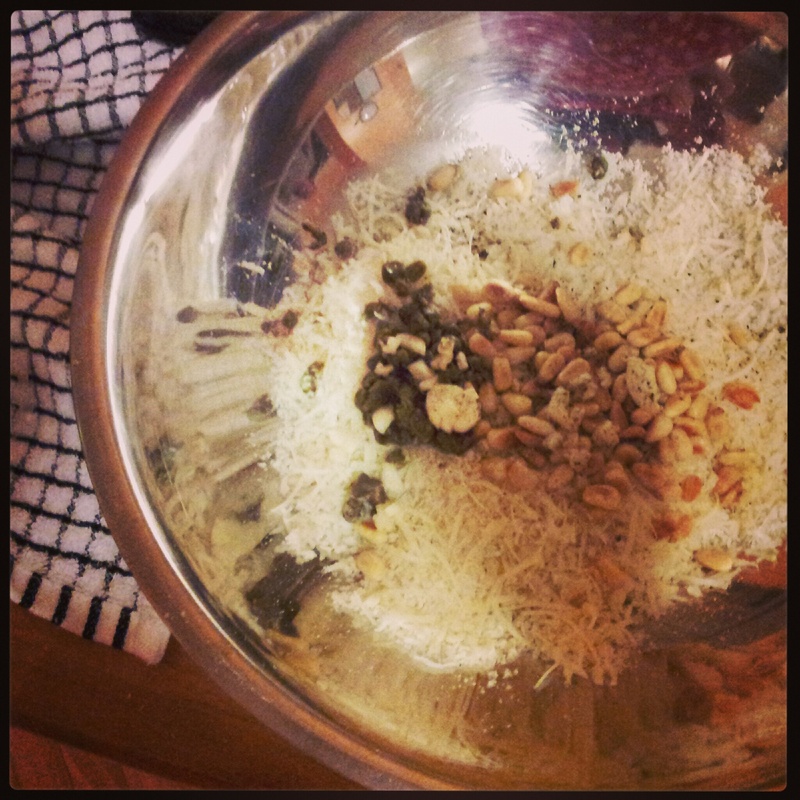 Serve with pasta, sprinkled with the pine nuts and parmesan.